This content is provided by Jordan Yarett. Head of the firm’s Securitisation Practice, Jordan Yarett handles innovative structured finance deals involving unusual asset classes, and securitisations and bond financings involving more traditional assets. Recent transactions include complex whole-business securitisations for Wingstop, Jamba Juice, Coinstar, Jimmy John’s, Focus Brands, Driven Brands, Wendy’s, Dine Equity, Hooters of America, Dunkin’ Brands, CKE and Arby’s. 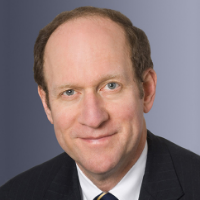 He has worked on many groundbreaking transactions, including what are believed to be the first U.S. whole-company securitisations involving intellectual property, many innovative energy transactions, and a number of film securitisations.